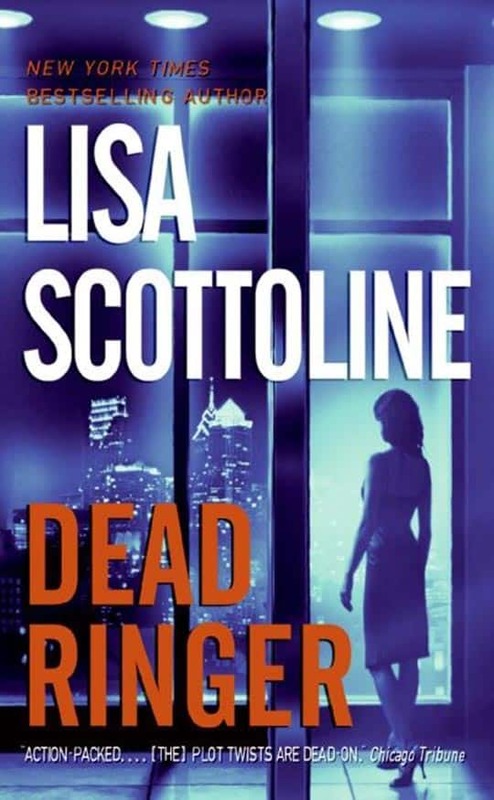 A #5 New York Times hardcover bestseller and a #3 Los Angeles Times bestseller, Dead Ringer is fast, fun, and utterly compelling. 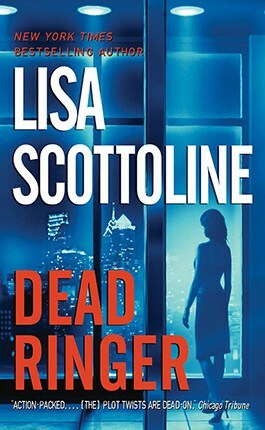 There was lots of early buzz for Dead Ringer, and in fact, it went on to be chosen as a Costco book club pick, a Cosmopolitan Magazine “Hot Summer Pick,” a Literary Guild and Mystery Guild main selection, a Doubleday Book Club, Book of the Month Club and Quality Paperback Book Club alternate selection and an Audio Book Club featured selection. 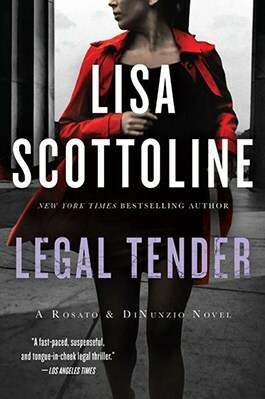 In Dead Ringer, the tough-as-nails head of Rosato & Associates, Bennie Rosato, has had her eye focused firmly on the bottom line, and takes a professional risk, charging into a class action lawsuit that could make-or-break her career. 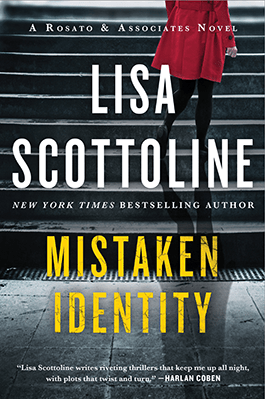 Just when she is at her most vulnerable, strange things begin to happen. It begins with a missing wallet, but events quickly escalate. Someone is posing as the outspoken, attorney and is wreaking havoc around town, apparently determined to destroy everything Bennie loves. 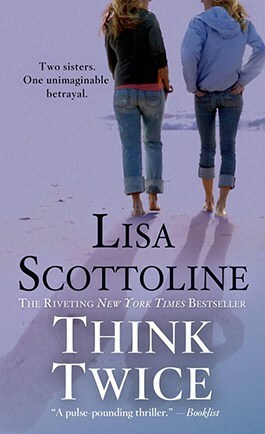 And Bennie knows only one person can pull off this double deception, her identical sister, Alice Connelly. It’s been two years since Bennie has seen or heard from her troublesome twin, but she seems to be back with a vengeance. Bennie refuses to be anyone’s victim-least of all her own blood. 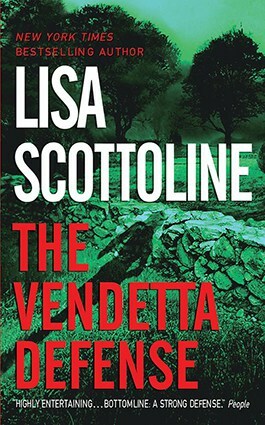 When a brutal murder occurs, however, Bennie realizes that the stakes have turned deadlier than she feared. And the face of evil is identical to her own. Bennie Rosato had waited for more than a hundred jury verdicts in her career, but the waiting never got easier. The courtroom was empty, the air still. Bennie could hear the clock ticking on the paneled wall, but it could have been her sense of drama. 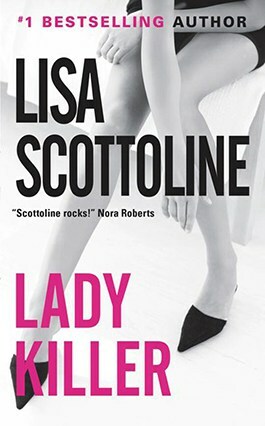 She was sitting next to her client, Ray Finalil, who was gnawing his cuticles. If they lost this trial, Ray’s company would have to pay three million dollars in damages. Three million bucks buys a lot of cuticles. Ray didn’t smile. His gaze remained fixed on the vacant jury box, with its black leather chairs swiveled in different directions. The jury had been charged on the law this morning and they’d been out deliberating all day. That meant Ray and Bennie were entering their sixth hour of small talk. To Bennie, that was as good as married. Ray’s chin dropped to his hand. 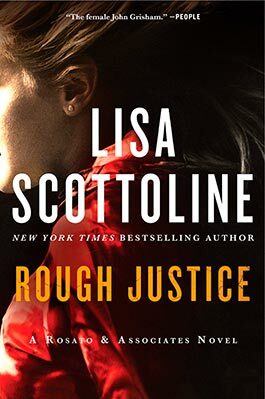 His brown eyes were bloodshot from three weeks of sleepless nights, and his cheeks hollow from the ten pounds he’d shed during the trial, even though he was completely innocent. Being a defendant was no-win; if you lost, you paid the plaintiff, and if you won, you paid your lawyer. This was known as the American Rule. Only Americans tolerate law without justice. “When do you think they’ll come back?” Ray didn’t have to explain who “they” were. The jury. “End of today.” Bennie sat back down. At least the stretch had shaken off some of her stress. She couldn’t remember the last time she’d exercised. This trial had consumed every available minute for the past two months, but her law firm needed the dough. The slump in the economy had hit lawyers, too, and people had stopped suing each other. Could world peace be far behind? “But what are they doing in there for so long?” Ray rubbed his forehead with leftover fingernails. He looked older than his fifty-one years, and oddly, he’d become more nervous as the trial wore on, not less. Ray wasn’t a lover or a fighter. He was an accountant. Suddenly, the paneled door next to the dais opened and the deputy clerk entered. He was tall and fit, and his polyester blazer made an officially swishy sound when he walked. When Bennie realized he was heading for her, she rose. “They back?” she asked, her heart beginning to thump, but the deputy clerk shook his head. “Yes,” Bennie answered, and as soon as the deputy clerk took off down the aisle, Ray jumped to his feet and clutched her sleeve. “Because this is America. Now stay cool. 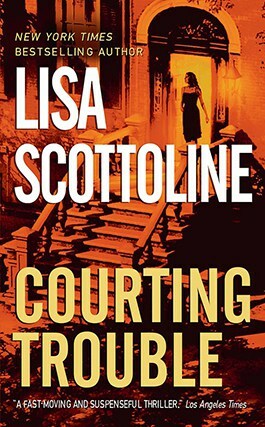 Curtain’s up.” Bennie gestured behind him, where the courtroom had come abruptly to life. The court reporter returned, cracking his knuckles before he took his seat straddling the stenography machine. The deputy clerk and a young female law clerk entered through the paneled door and bustled to their posts at the side and the front of the courtroom. The plaintiff and his lawyer hustled up the aisle and sat down at their counsel table, and the lawyer nodded, acknowledging Bennie. Bennie nodded back, but that was as friendly as she ever got with opposing counsel, if you didn’t count giving them the finger behind her legal pad. She wasn’t trying to win friends, she was trying to win cases. Her loyalty remained with her client, even one as panicky as Ray. Especially one as panicky as Ray, who leaned over and started whispering so close she could smell lunch on his breath. Ray Finalil was the only person in the world still eating liverwurst and onions. “Quiet. Stand up.” Bennie rose as Judge William Delburton, a gray-haired Carter appointee who’d been tough if even-handed during the trial, swept into the courtroom. He sat in his high-backed leather chair on the paneled dais, underneath the thick golden seal of the United States Courts. In his hands rested a single piece of folded paper, which he studied as the deputy clerk said his lines. Ray grabbed Bennie’s hand. She pretended not to notice. Litigation reduced men to little boys, and women to Gloria Allred. Oh my God. Bennie’s mouth went dry. This couldn’t be happening. It was a runaway jury. Ray slumped in his seat like a crash-test dummy. “Objection for the record,” Bennie said reflexively. She glanced over at Ray, who looked as if he were ready to hurl. The deputy clerk brought the jury back into the courtroom, and the judge answered their question and sent them out to deliberate again. Then the judge and his staff left the courtroom, and the plaintiff and his lawyer gloated down the aisle, and Bennie turned to Ray. But by now she had her bearings. “Ray, don’t freak,” she said, but it was too late. “But the question!” Ray gulped water and some splashed over the rim. “Didn’t you hear the question? What am I gonna do? This is unreal! This is a catastrophe!” “Ray, listen. Bennie felt stung. Silence fell between them. The clock on the wall ticked away. This time, she was sure of it. “We’re in this together, Ray,” she said, after a minute. She didn’t expect him to believe it. Only half an hour later, court was back in session, and the jury was entering the jury box. The jury foreman held a piece of white typing paper in his hand. It was the verdict sheet, which contained a single question and answer. The courtroom went completely quiet as everyone scrutinized the jurors, including Bennie. She noticed that they avoided eye contact with her, and she tried not to take it as a bad sign. She could hear Ray sucking wind. At least he wasn’t green anymore. “We have, Your Honor,” answered the foreman. He rose and handed the verdict sheet to the deputy clerk. Yes! Yes! Yes! Bennie felt like shouting for joy. They had won! She nodded toward the jury in gratitude, as Ray grabbed her hand and squeezed it hard. 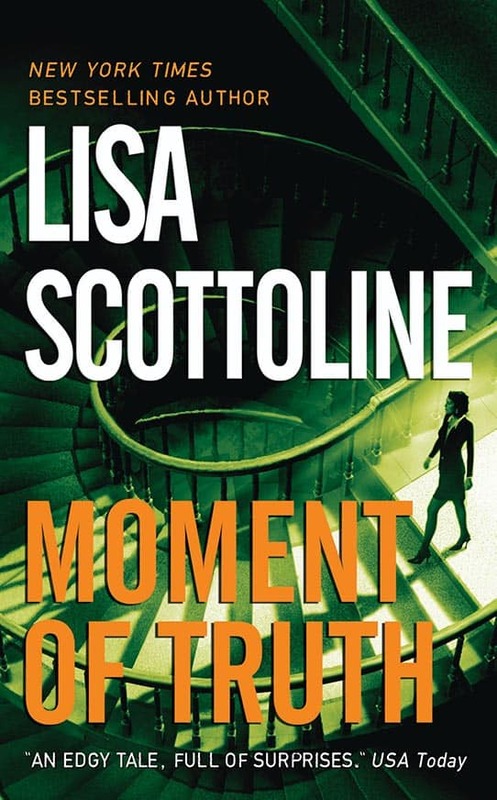 She looked over, and he’d burst into a broad grin, which didn’t let up even as the jurors were polled by a shocked plaintiff’s lawyer, answered “not liable” one by one, then were dismissed by the judge, who left the room with his staff, closing the door behind them. “I won! I won!” Ray yelled, and when she broke their embrace, his eyes were welling up behind his glasses. But when Ray removed his hands from his eyes and replaced his glasses, he still looked miserable. His forehead creased with anxiety, his eyes brimmed with tears, and his lower lip trembled. Bennie reeled. She couldn’t process it fast enough. She was still feeling residually happy about the victory. She had won and lost in the same moment. She didn’t know what to say or do. There was no trial wisdom about this. Nobody wise ever let this happen. And Ray looked so stricken, she didn’t have the heart to kill him. On autopilot, Bennie picked up her briefcase and bag. “I gotta get back to work,” she said. But she was talking more to herself than to him. 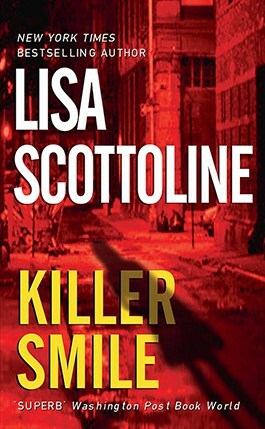 Coming up with good titles is very hard for Lisa, but she thought that Dead Ringer was the perfect title for a book about twins. 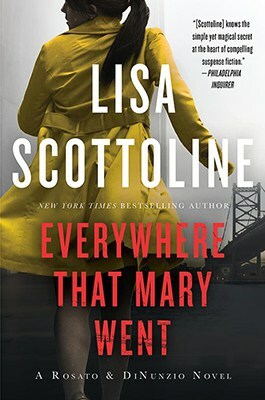 However, after the book was done, she found out her kid and her kid’s friends had never heard that expression. Did you understand the phrase? Can you think of a title that would have been better? In Dead Ringer, Alice does some really terrible things to Bennie to try to destroy her. In the process she even tries to hurt Bennie’s dog, Bear. Is someone who would hurt a dog unredeemable? Does Alice deserve a second chance? Does everyone deserve a second chance? Is Alice a sympathetic character? Do you feel sorry for Alice because she was the twin who was given away? Does this make Alice’s actions any more forgivable? Do you think Bennie’s mother made the right decision in giving away one twin? In Dead Ringer, David comes to Bennie and Bear’s rescue. Have you ever had a total stranger come to your rescue, just because they were a good person, and not because they were looking for something in return? Would you be able to willingly accept this kind of help, or would you be reluctant and suspicious? Alice is driven by both competitiveness and jealousy, which has led her to do some harmful, even horrific things. Some envy between siblings is normal, but where does it cross the line? Is it usually the parents’ fault when siblings are so envious of one another? Is there something parents can do to promote greater harmony between siblings? Bennie takes a huge risk by putting her house up as collateral to save her business. Was this a smart move? Would you have been able to take that kind of risk? Do you think she would have made a different decision if she had children? Do you think that you have to take risks in order to be successful? Bennie does forgive Alice, despite everything she had done. Is this because Bennie is just a good, forgiving person, or do you think she is partially motivated by the guilt of being the chosen twin? Could you forgive Alice? Do you think she can really change? Do we let family get away with things that we would never put up with from others, or are we harder on them? Would you like to read about Alice again? Or put blurbs or other top-of-page info here.